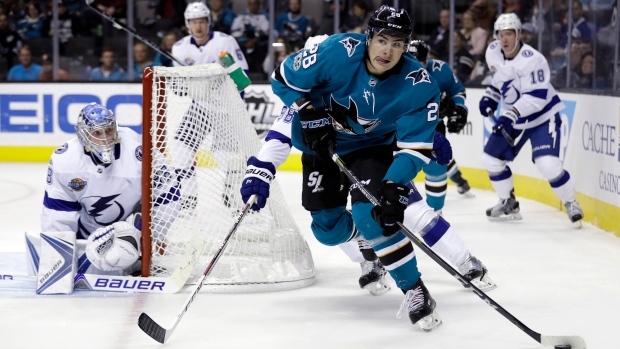 San Jose Sharks forward Timo Meier was fined $2,000 on Thursday under NHL Rule 64 (Diving/Embellishment). Meier first received a warning for diving this season on Feb. 5 for actions in a game against the Winnipeg Jets. His second citation, which resulted in the fine, came on March 16 when he was called for unsportsmanlike conduct to offset an interference penalty on Nashville Predators defenceman Roman Josi. Meier, 22, will receive a $3,000 fine if he is called for diving again. In 70 games this season, he has 27 goals and 60 points with 49 penalty minutes.